Every morning in March I head first thing into the basement to turn on the “sun” for the flats of seedlings and newly planted seeds. As I flip on the tiers of grow lights, I say good morning (yes, I do) and ask how they are doing after the long, dark night. I look closely to see which seedlings have popped through the soil, which have grown a leaf, which look dry, which haven’t germinated well, which need transplanting. 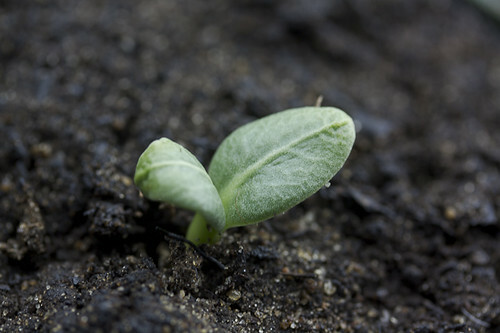 I relish participating in the full life cycle of a plant, from these first tentative days until the plants have gone to seed. I must admit, though, that I am especially excited this morning because the artichokes have pushed their rather large leaftips–even at this stage–through the soil. These are the seeds brought to me by my daughter’s boyfriend, all the way from his mother in a small town in Sicily. 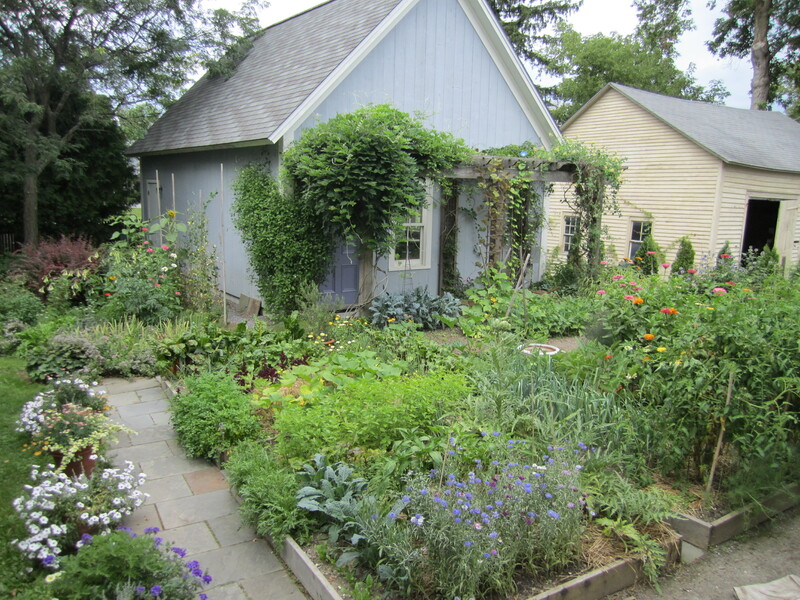 We trade seeds and send one another our jams and dried herbs–her oregano is a revelation. 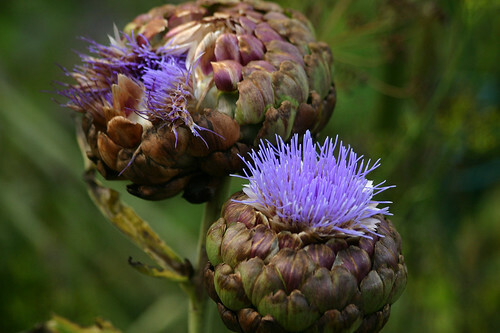 I’m eager to taste the artichokes, the same variety she grows halfway around the world. But that makes me nervous, too. 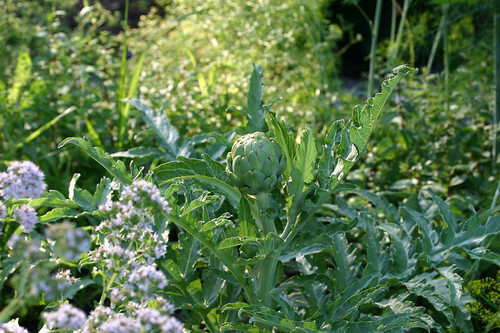 Last year I somehow forgot that up here in the north, if you want to grow artichokes from seed in a single season, you have to trick these perennials into thinking that they’re in their second year and thus ready to flower. 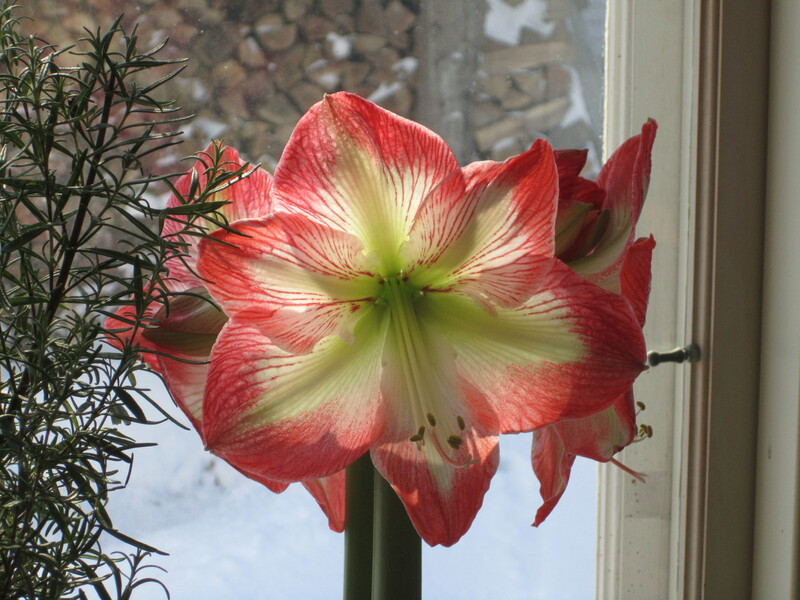 Because that’s what we’re after–the flower bud (though Kate lets some of hers go to flower every year because they are dramatically beautiful with their fuzzy chokes turning to sensational purple fuzz). 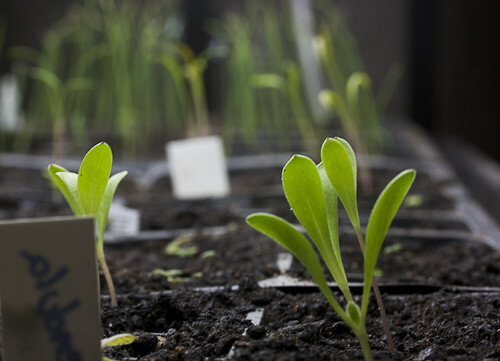 To trick them , you must vernalize them–give them six weeks of indoor warmth followed by six weeks of outdoor cold–that’s why I plant them so early. Otherwise you’ll get what I got last year–fabulously healthy, bushy plants with nary a flower. Sure they were pretty, but they took up a great deal of room. Of course, you could just buy year-old plants from the nursery and not have to worry about the vernalizing process. 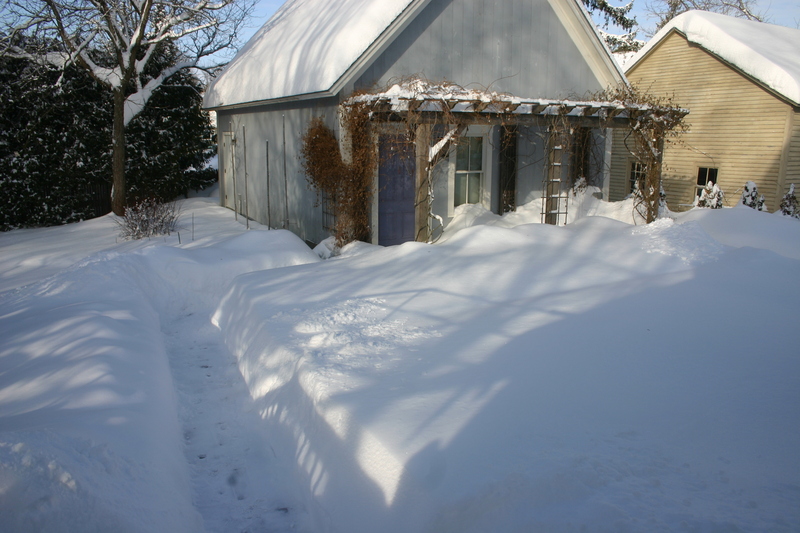 Once they’re ready for the garden, I’ll choose a sunny spot with rich, well-drained soil. They will grow tall and bushy, and with any luck, those flower buds will appear in July. We pick them young to eat raw, grated in salads, and grilled, sauteed, used in soups and stews, stuffed, sliced on top of pizza–you name it! See Eating Well’s Guide to Cooking 20 Vegetables for details on simple tips for baby artichokes. 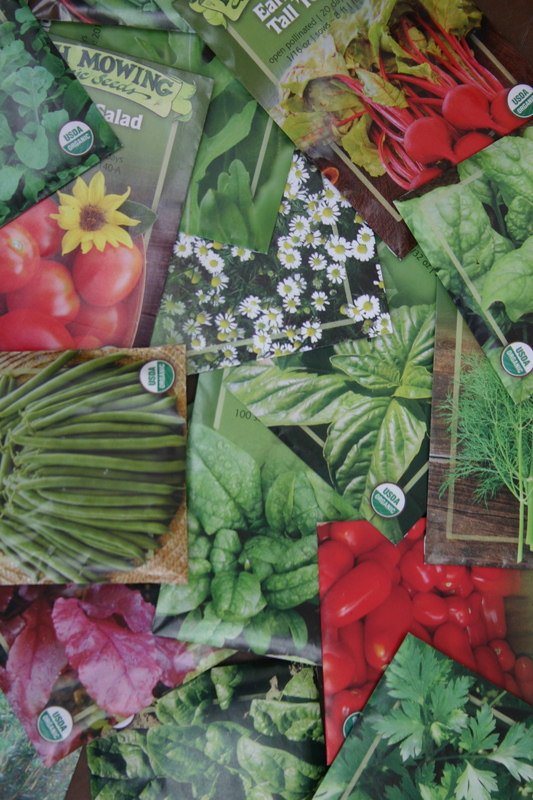 They are not to be missed–and what a thrill to pick your own! 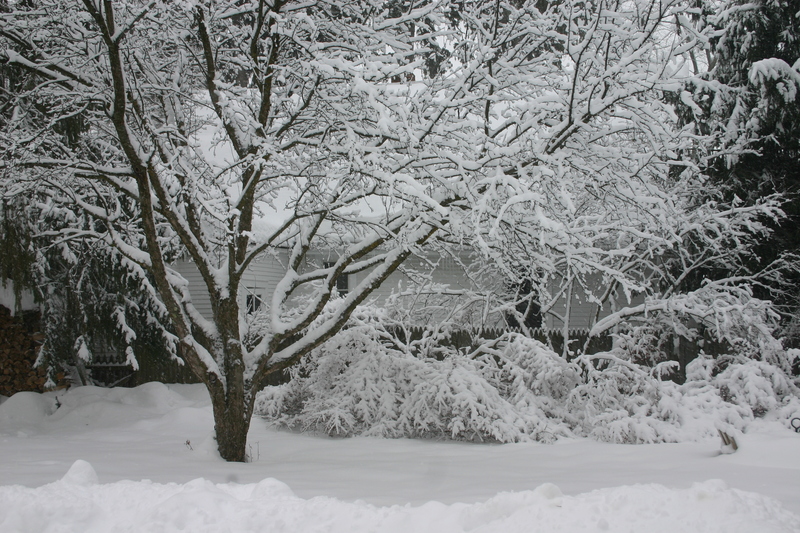 So this year, I’m being careful, and making an entry in my calendar for when they need to move to the cool outdoors: April 14. I’ll let you know how they turn out!